Generate your own power on demand and have it wherever you want. Flexible for every need, Total Power offers industrial towable generators with quiet operation, optimum performance and EPA emission compliance. From multiple voltages to state-of-the-art electronics, controls and safety features, these units are configured to meet the most rugged conditions. Understanding the challenges operators face to quickly and safely get power flowing to a job site or facility,we offer units with control and connection panels with operator-friendly features. 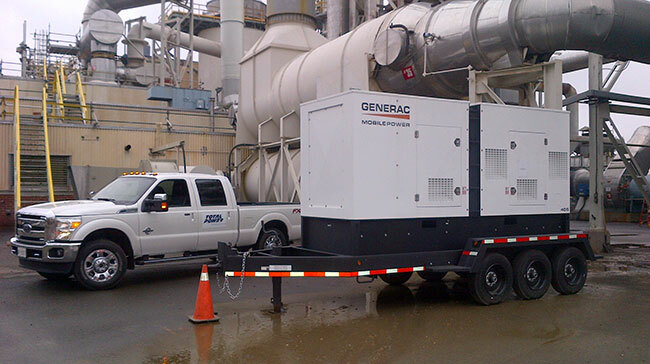 The flexible options and voltages allow towable generators to be taken from job-site to job-site, to be shared amongst one owner’s facilities and to be used temporarily. Simply, place the unit at the site, connect the load and start it up! When you source your towable needs through Total Power, you are sourcing from experts. Feel free to call our technical staff to help with your power solutions.